Cloaked Tales will be a collaboration between a Textile Artist, Performance Poet, Composer and Director to create two tour ready childrens poetry shows, one for 3-5 year olds and one for 7-12 year olds. 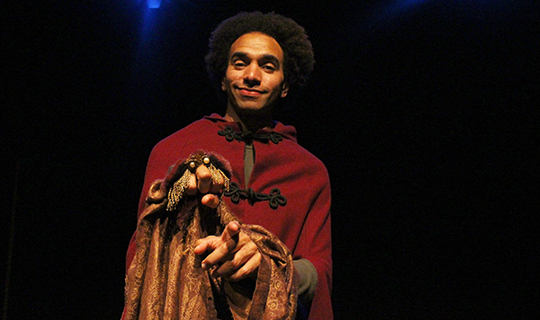 The shows will be poetic adaptations of fairytales told using props that magically emerge from a cloak. Tales will include: Granny Goldilocks, the Monstrous Duckling (3-5 yrs). Blood-red hood, Zombie-rella (7-12). Created through an R&D process involving local families at Medway libraries and artists developing ideas for textiles and poems. This is an Arts Council Funded Project.